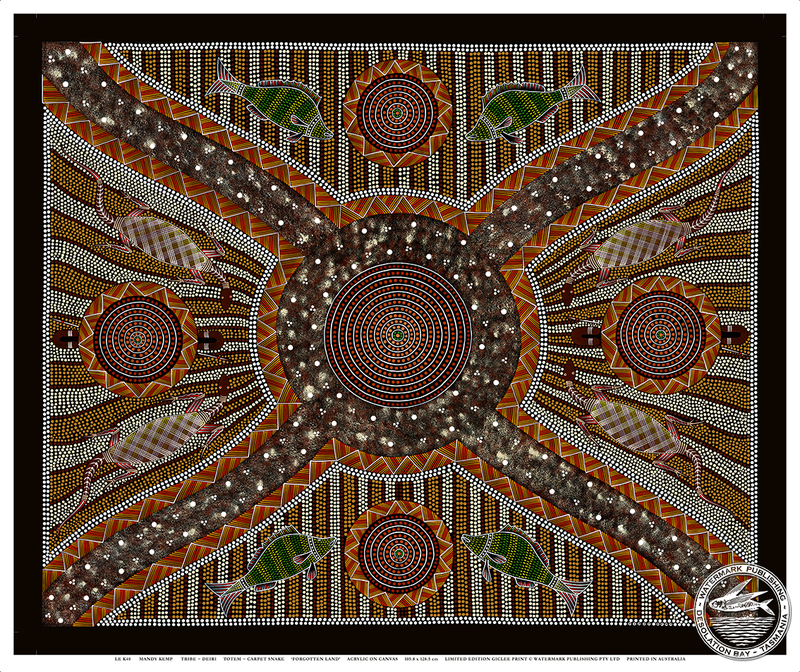 Mandy Kemp is a rapidly emerging artist from an area north of Broken Hill in outback N.S.W. Her tribe is Deiri and totem Carpet Snake. Mandy’s thoughtfully composed paintings are meticulously detailed using the striking colours of her home country and have been purchased by collectors worldwide.